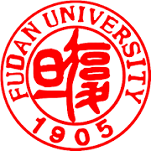 One of the oldest and most prestigious institutions in China. Founded in 1896, Xian Jiaotong University has a history of over hundred years and is a member of the C9 league of Elite Universities. CSMCH emphasises impart of training both social scientists and physicians of academically applying them selves to the huge tasks of public health in the country. ICEC is an autonomous membership based organization founded in 2003 with a vision to enhance economic and cultural cooperation between India and China. SXUFE, founded in 1951, is one of the earliest financial universities in China specialising focusing on Economics, Management and Laws as the mainstay subjects and developing interdependently Economics, Management, Laws, Literal Arts, Science. Founded in 1966, Moscow. RIC Academic Trilateral with ICS, Delhi & CIIS, Beijing is one of its initiatives. YASS is a prominent government think-tank in Kunming.